Maws Craft Centre is situated in what remains of the former tile factory of Maw & Co. The factory was built in 1883 and closed its doors in 1970. For the next four years the buildings stood as they had been left, complete with machinery, tools and equipment. Between 1974 and 1977 two-thirds of the site was demolished. In the early 1980’s the Telford Development Corporation converted some of the remaining buildings into small business units and others into flats. When the Corporation was winding up and wanted to dispose of the property, a group of tenants formed a limited company in order to buy the site in 1988. The new company was called Maws Craft Centre (Jackfield) Limited in honour of its former owners. Since acquiring the site Maws Craft Centre (Jackfield) Ltd has used a large proportion of its rental income to renovate the areas that were still derelict and improve the buildings that were originally converted. The Craft Centre now houses a whole host of arts, crafts and design businesses, as well as a café, a dance studio and a holistic therapy centre. 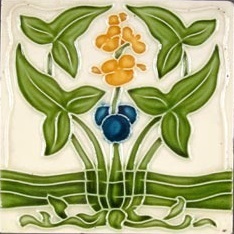 The company was formed in 1850 by George Maw and his brother Arthur when they bought an ailing tile business in Worcester. 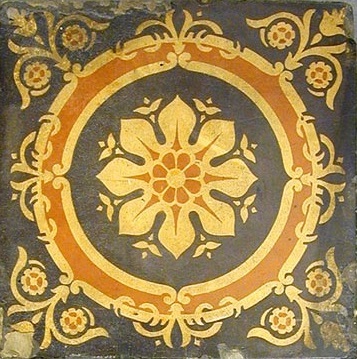 They manufactured floor tiles and quickly gained a high reputation for their encaustic* “Mock-Mediaeval” tiles. 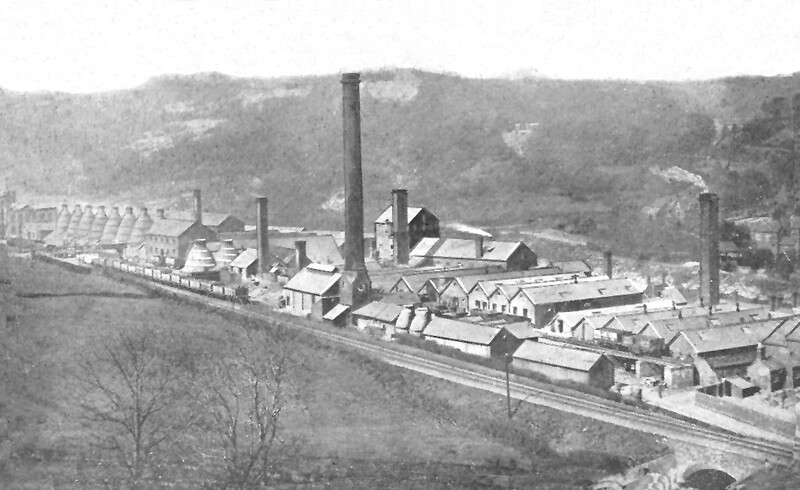 However, they had to contend with the same problems as the company they had bought out– the local clays were unsuitable and materials had to be brought in at great expense from Shropshire. 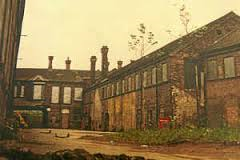 In 1852 they relocated to Shropshire to the Benthall Works at Broseley where they could make use of the clay as well as coal. The brothers soon opened their own mines. At first the company barely covered its expenses and full commercial production did not begin until 1857. 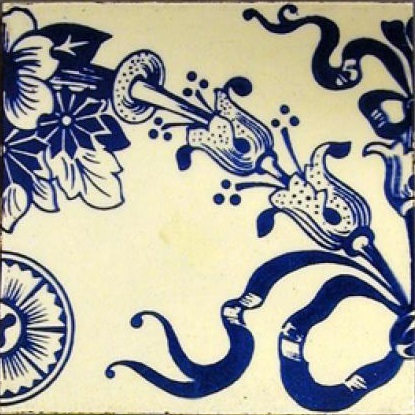 A few years later encaustic tiles became the height of fashion. 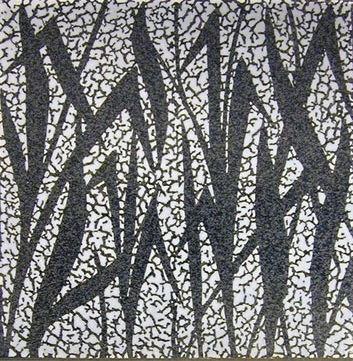 Maw & Co were the first to use six and more colours. 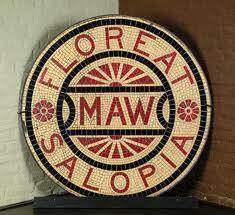 Mosaic tiles also formed a large part of Maw's business. 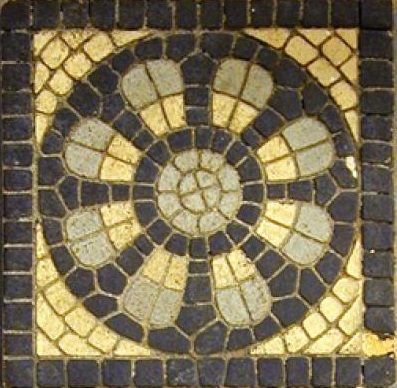 In 1862 a patent mosaic tile was introduced. 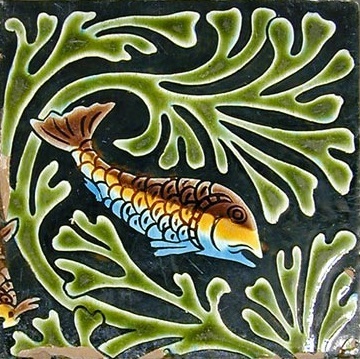 At the same time George Maw was experimenting with majolica glazes and later on with faience. 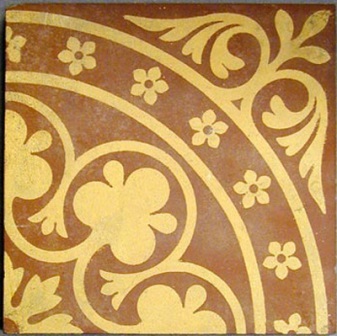 Transfer printed and hand painted picture tiles were produced as well as relief tiles and gilt ones with the entire design executed in gold. 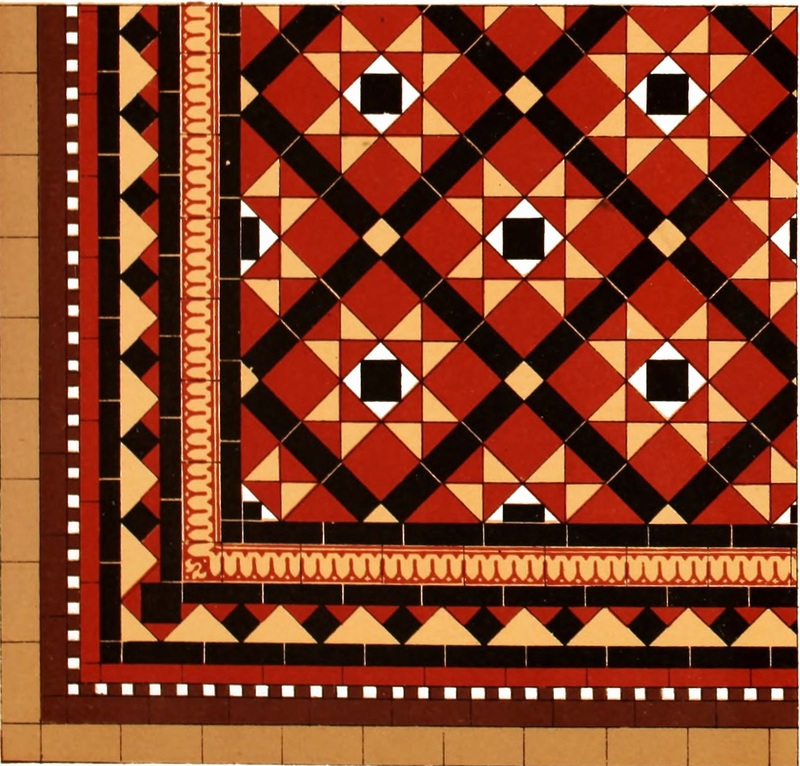 By the 1880’s Maw & Co had become one of the most influential and important tile manufacturers. To help meet the increasing demand Maw & Co made more and more mechanical improvements using steam driven tile presses for example and in 1883 moved to new premises at a more appropriate site at Jackfield covering five acres with every convenience in services and layout. At the height of the tile boom the company produced over 20 million tiles a year and published lavishly printed catalogues. Maw’s “lists of persons and establishments supplied” ran to five pages and included the Royal Family, Alexander II of Russia, two maharajas, nine dukes, twelve earls, the railway companies, thirteen cathedrals, thirty-six hospitals, fifty-three public buildings, nineteen schools and colleges, and five warships. 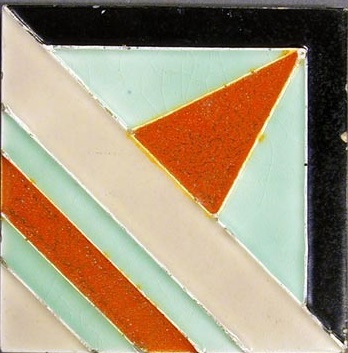 At the end of the century Maw & Co was the largest tile factory in the world. 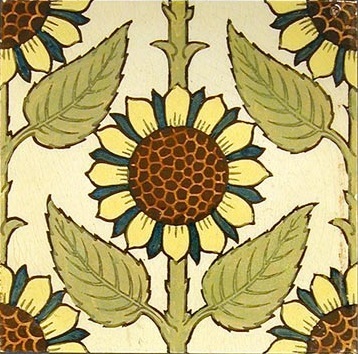 Art Nouveau designs were followed by unique Art Deco geometric styles. 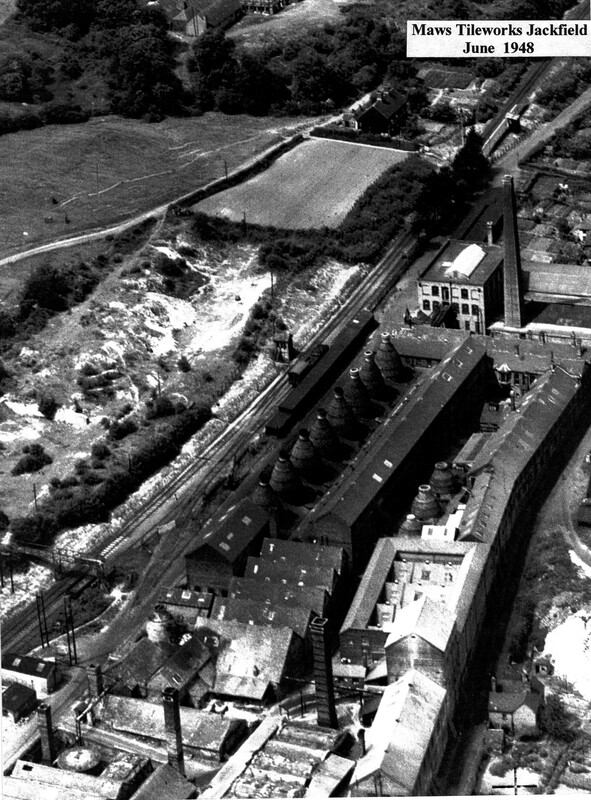 Unfortunately the recession at the end of the First World War and building restrictions and the closure of the railway in the decades following World War II were very detrimental for tile production in Jackfield and eventually the factory closed in January 1970. 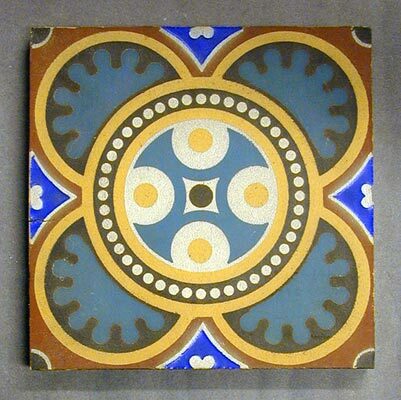 * encaustic tiles are floor tiles with a pattern made of different colours of inlaid clay, examples are shown in the picture strips on the left and the bottom of this webpage as well as on the background. 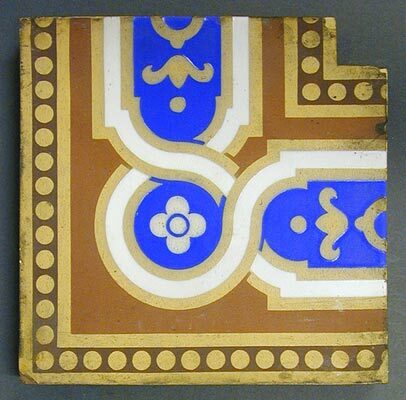 Maw & Co tiles were used in buildings near and far. 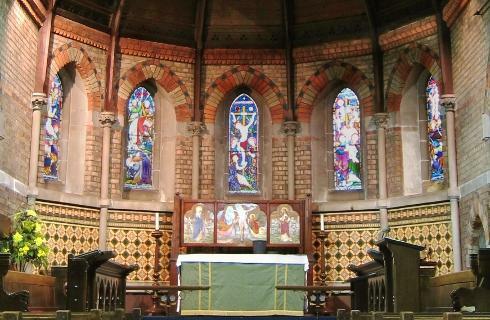 Above is a picture of St. Mary's church in Jackfield (courtesy of Mo Smith); the church is only a couple of hundred yards away from the factory and features beautiful Maw & Co tiles. 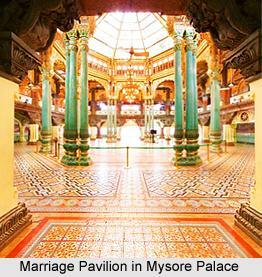 Below is an image of the Marriage Pavillion at the Mysore Palace (also known as Amba Vilas Palace) in Karnataka, India - this is an octagonal shaped hall where all royal weddings, birthdays and ceremonial functions were celebrated. The floor tiles were supplied by Maw & Co.